What is left of the Chinese internet, a lame, depleted and lethargic mockery of the real thing, has being going nuts over these pictures from nearby Guigang. 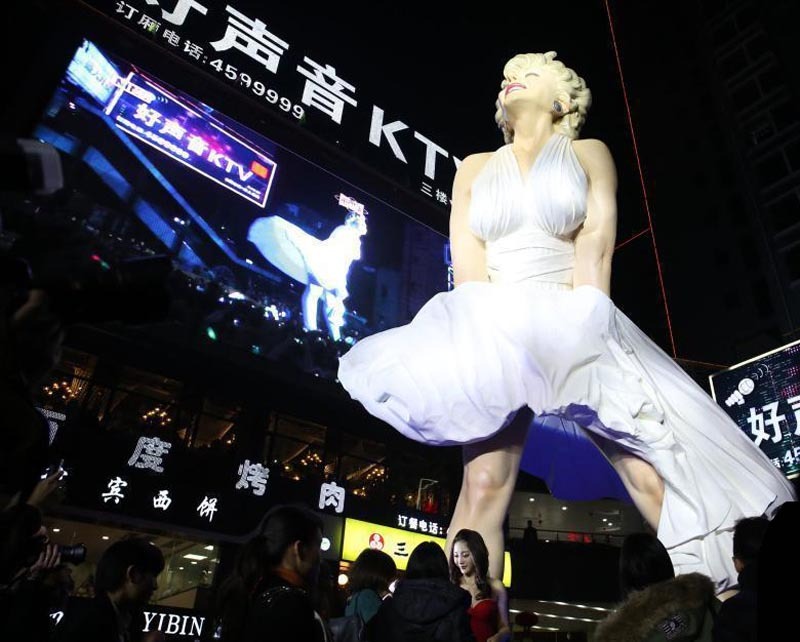 The 8.18 metre, 8 ton, stainless steel statue of Ms Monroe was apparently made as an attraction for a shopping mall in Guigang. 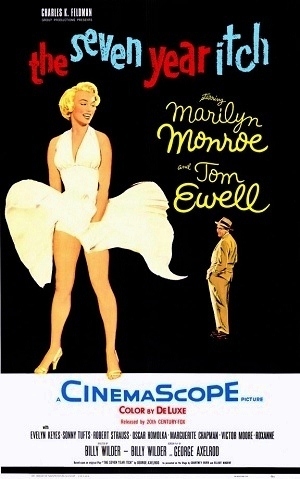 There she stood towering above the shoppers showing off her backside as inspired by the 1955 movie “The Seven Year Itch”. It always surprises me how random and unpredictable the average Chinese person’s knowledge is of other cultural figures. They know Monroe, but I doubt many could name Hepburn or Garland. They know the Carpenters (but refuse to believe she died over 30 years ago) but don’t know the Beatles. But know “Hey Jude”. Today, it was announced Gerry Goffin has died – he wrote the lyrics to “Will You Still Love Me Tomorrow”. Every young Chinese person I have met knows the song and insists it is 100% a Chinese song – some Cantopop singer covered it a while back. Although to be fair, they probably score higher than your average American or British person’s knowledge of China’s cultural giants. 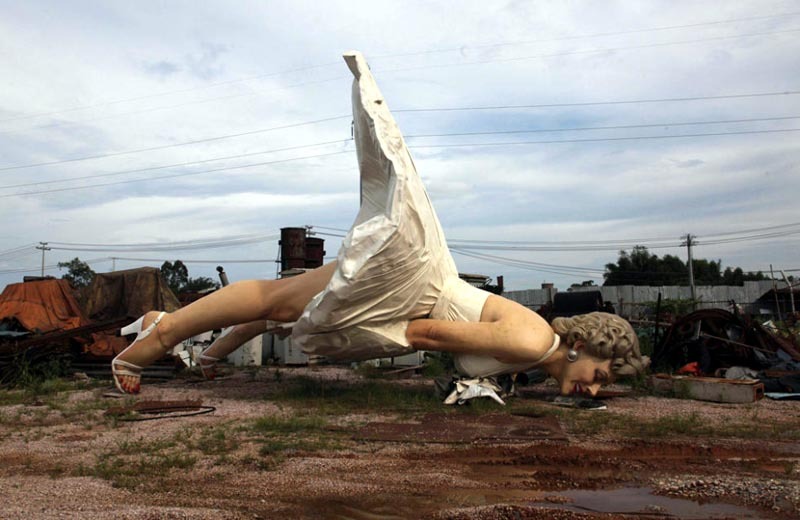 Despite taking two years to make, Ms. Monroe stood happily flashing her underwear for only a brief six months, before China moved on again and she was unceremoniously bundled onto the back of a truck and towed away. 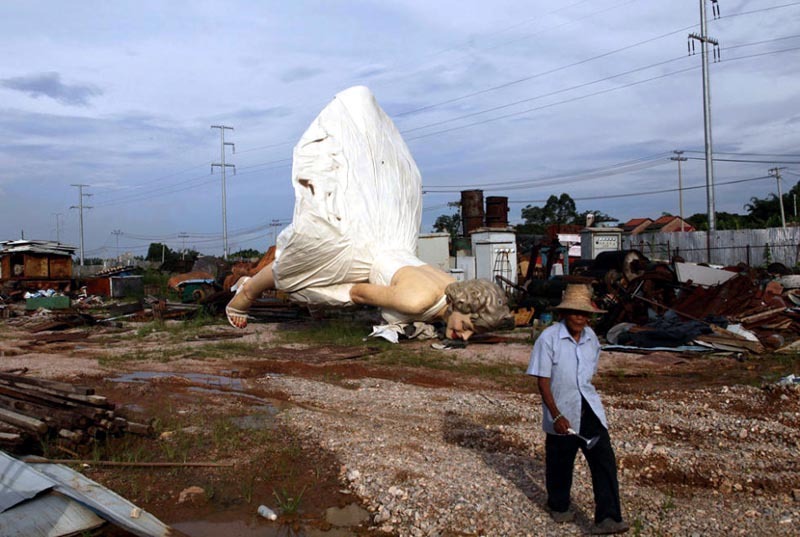 She is now at rest face down in a Guigang scrap yard where she will no doubt be melted down for the scrap metal value. Not so different from her real life in some ways.
. This entry was posted on Friday, June 20th, 2014 at 3:44 pm	and is filed under Guangxi News, Ozymandias. You can follow any responses to this entry through the RSS 2.0 feed. Both comments and pings are currently closed.